Paris Fashion Week is officially a wrap, but the impeccable outfits we spotted throughout will live on. The world’s most stylish women all congregated to the City of Light, and given the occasion, it’s no surprise that they provided plenty of outfit inspiration. Truth be told, compared to some of the other fashion week cities, you don’t see a whole lot of denim in Paris. Showgoers typically save their fanciest looks for it. But when they do wear denim, you can guarantee that it’s going to be especially polished and chic. 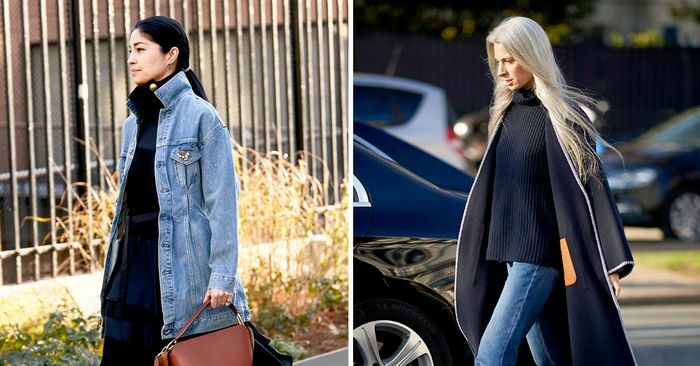 We combed through thousands of street style photos from Paris Fashion Week F/W 19 (and a few from Haute Couture Fashion Week in January) in search of not just the best denim outfits but the best denim outfits worn by women over the age of 40. The resulting outfits prove that these women know what they’re doing, and they know how to make jeans and other denim pieces work for any occasion. Keep scrolling to see what we mean and to shop similar denim pieces.